What do you do when you wake up in a swimming pool with a gunshot wound to the chest and no memory of who you are? Well, you go on an investigative rampage to find out who you are and what you are. Becoming a member of the deadhead community in 1931 is fraught with draw backs when you’re a newbie who knows nothing. The rules of the undead, deadheads, jumbee etc are to be liquored up at all times and to protect the brain. With those basics in mind Braineater Jones P. I goes forth to solves a few cases to pay for his booze and to fill in the total blank that was his previous life. He meets a lot of characters along the way and has a sidekick, who is only a head but is loyal and his only friend. This was a very well written, humorous horror thriller, which tickled throughout. Easy to read and pick up again it drew me into the new world of the deadheads. The conversations and wry asides were very entertaining to read. The main characterisations were good and the plot did twist a couple of times, although I did predict the bad guy and the first plot twist. There’s a fair bit of action that is well written too and I did not find the book terribly gory. 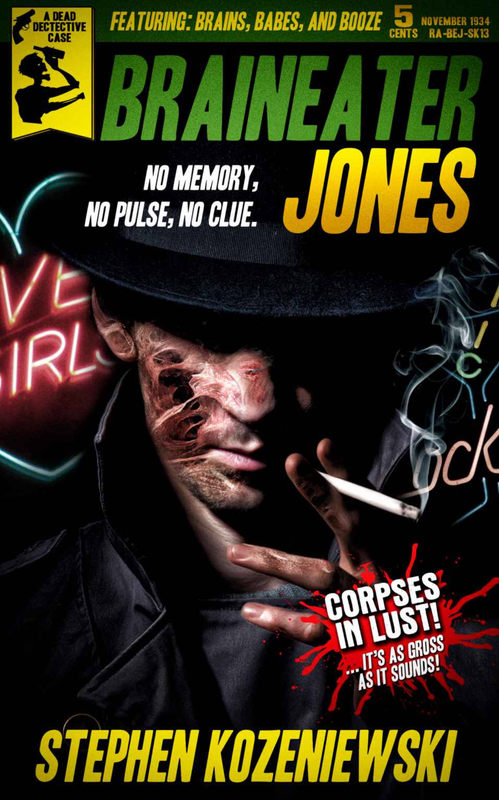 There was one thing that was not in keeping with the time: the reference to resuscitation which was not first tried until 1957 but other than that I found this book to be thoroughly enjoyable and loved the deep gritty detective work Jones has to do to uncover his identity. A really good read for horror and graphic novel fans who don’t take themselves too seriously. Thank you for taking the time to review my book, Babus! You’re welcome Steve, I really enjoyed it.